Dr. Lotfi Belkhir, tenure track Associate Professor, Walter G. Booth School of Engineering Practice, and Class of 1962 Mechanical Engineering Endowed Chair in Eco-Entrepreneurship. Dr. Belkhir is a visionary and results-driven academic and business practitioner. He is a researcher, teacher, inventor and entrepreneurial leader with 17 years of distinguished industrial experience in sustainable and innovation-powered business creation and economic growth. Dr. Belkhir is an expert and thought-leader in the field of Total Sustainable Management, Eco entrepreneurship, digital convergence and its socio-environmental impact. Possesses proven leadership skills in research and development, IP protection, business development, finance, strategic planning, and general management. He possesses strong and successful international experience and alliances, public speaking, and relationship building. 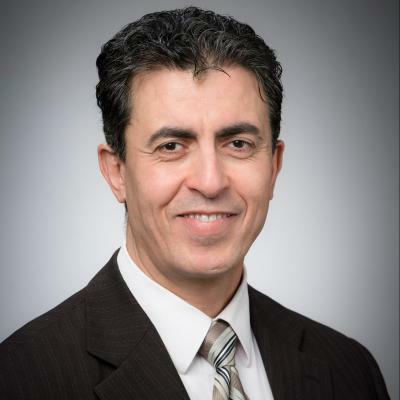 Multicultural, and fluent in English, French and Arabic, Dr. Belkhir earned his Ph.D. in condensed matter physics from SUNY and MBA in Management of Technology, Walden University. This introductory module will develop an understanding of the fundamentals of sustainable businesses by students exploring and evaluating their new business ideas and selecting an idea to pursue. Students will develop an awareness of, and skills in innovation and entrepreneurial behaviour. There will be a focus on understanding business idea generation, development, and evaluation. A key outcome of this module will be the plan for Phase two of the students Enterprise Project. Emphasis will be placed on developing one’s own entrepreneurial orientation while practising effective teamwork. This course follows on the introductory course SEP 6E03 and teaches the students how to develop a customer-centric startup by learning and applying the tools of primary market research, developing a proof of concept, learning the basics of managerial accounting, corporate finance and investor term-sheet negotiations, and finally developing a detailed 5-year financial plan. This course introduces sustainability within a unified framework of Total Sustainability Management that will teach the student how to deeply embed sustainability into the enterprise through the use of Design principles, Bill-of-Rights of the Planet and through public policy. This approach will apply to not only a company product but also to its business strategy and business model. Furthermore, the course will teach the student a problem-solving approach that combines innovation, design and policy to emphasize the synergetic interplay between them. The student will learn how to think of sustainability as a “Way of Thinking.” The course will make liberal use of appropriate case studies, and call on several internal and external speakers who are recognized subject-matter experts. The POC Studio will consist of weekly 2-hour sessions of the MEEI/MTEI students who will share, in a presentation format, their detailed proof-of-concept plan and their progress in executing their plan. Each team will present to the rest of the class on a bi-weekly basis, and provide a detailed update on their respective POC deliverables and activities, including technology and product development, prototypes, software demos, customer and market validation, etc. Each team presentation will be followed by questions and feedback session with the instructors and the class, as well as directions and guidance for next presentation. From alumna Donna Strickland winning the Nobel Prize in Physics, to researchers inventing a patch that can tell you if your food has gone bad, to increasing first year female enrolment by five percent, here are the top stories of 2018. "What’s more, the average person hangs onto a phone for only two years. “This is not driven by the fact that these smartphones become obsolete in functionality,” said Lotfi Belkhir, an entrepreneur and engineering professor at McMaster University in Hamilton, Ontario. These two W Booth School graduate students are writing a new chapter in the story of eco-entrepreneurship in Canada. Twenty-eight volunteers representing a range of community partners from across the Greater Hamilton Region participated in a special session of Innovation Studio held earlier this week at the W Booth School of Engineering Practice and Technology, Faculty of Engineering, McMaster University. Published in Management of Environmental Quality: An International Journal has been selected by the editorial team as Highly Commended in the 2018 Emerald Literati Awards.